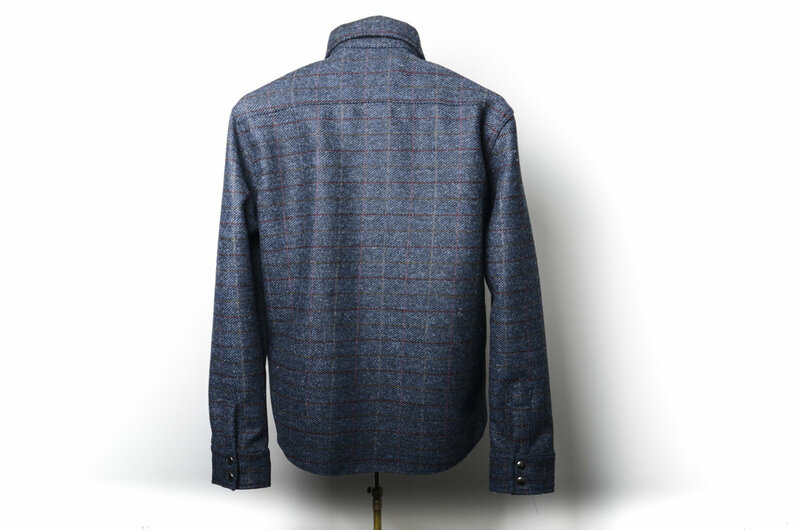 Back Bear Brand's signature shirt-jacket x Harris Tweed. Back Bear Brand's signature design taken to its extreme. Seamlessly styled as either a tailored jacket or a ruggedly refined shirt, this uniquely versatile piece was crafted with a beautiful Harris Tweed wool outer and features two chest pockets, leather reinforced snaps throughout, an interior Harris Tweed pocket at the left chest, a fully-lined body, fully-lined sleeves, double button cuffs, a straight fit. Harris Tweed “From Sheep to Finished Fabric. Across the waters from Scotland, beyond the Isle of Skye lies the barren, rocky island of Harris. One hundred and fifty years ago, the people of this island created a unique cloth, a tweed woven entirely by hand that was to become world famous known simply as it still is today as Harris Tweed.